While in Belize this year, I took some time off from the island and went to Cayo for four days. This is the area in western Belize where there are many small lodges tucked back in the jungle, each located off one of many enticing gravel roads stretching out from San Ignacio. I had heard of Mystic River Resort, but never had been there, and actually I don’t think I had heard of anyone I know going there either. I saw their signs while driving back from Barton Creek Cave, and just decided to stop in for a visit. I had no idea what I would find. 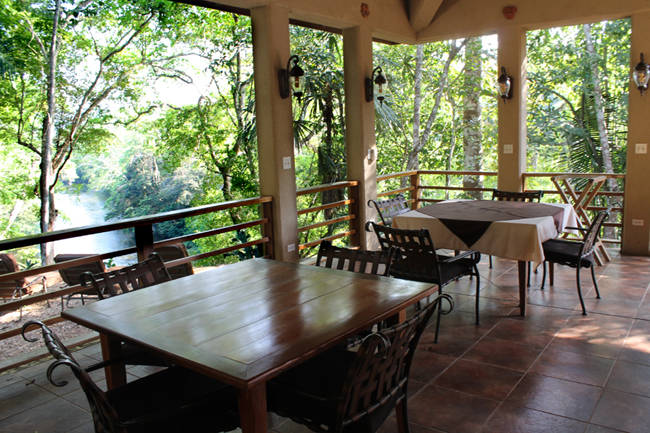 What I found was an extremely well-designed 5-star Belize jungle lodge, etched out of a steep hill overlooking the Macal River. The owner Nadege Thomas dropped what she was doing to show me around. Very nice of her. They have, I think, 16 casitas of three varieties: studio, one bedroom, and two bedroom. 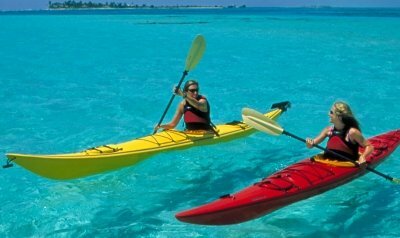 Most people would book the package which includes room, meals, transfers to and from Belize City, and several tours. The room cost per night (a la carte) for the studios (my favorite because it’s one big room) is $250/room/night. The cost for a seven-night package is $1850 per person in the high, but not holiday, season. 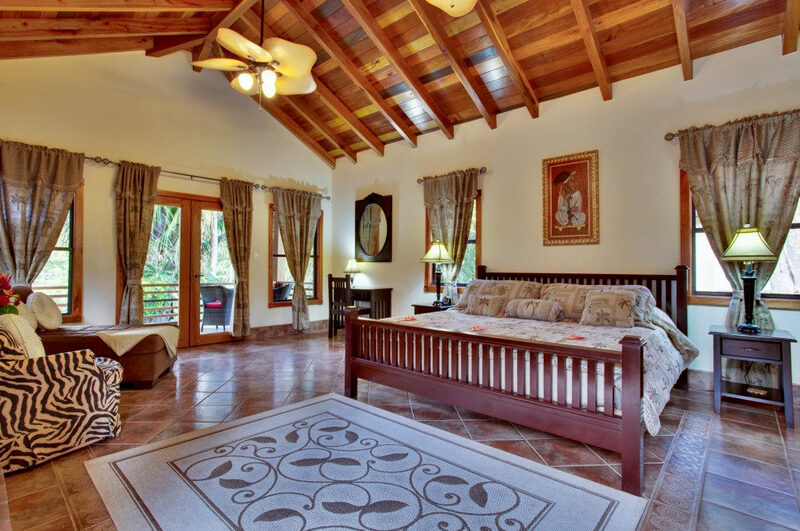 As you look at lodging and prices in Belize, you would find that this price is a very good deal for a first-class experience. Each studio or bedroom suite is a separate building with a balcony and lovely furnishings and linens. Her sense of decor is fabulous; each is fully tiled, has ceiling fans, NO air conditioning or television (the best part), has a wonderful seating area, a fire place, a first-class bathroom, and lovely colors throughout. Anyone would be extremely comfortable here. 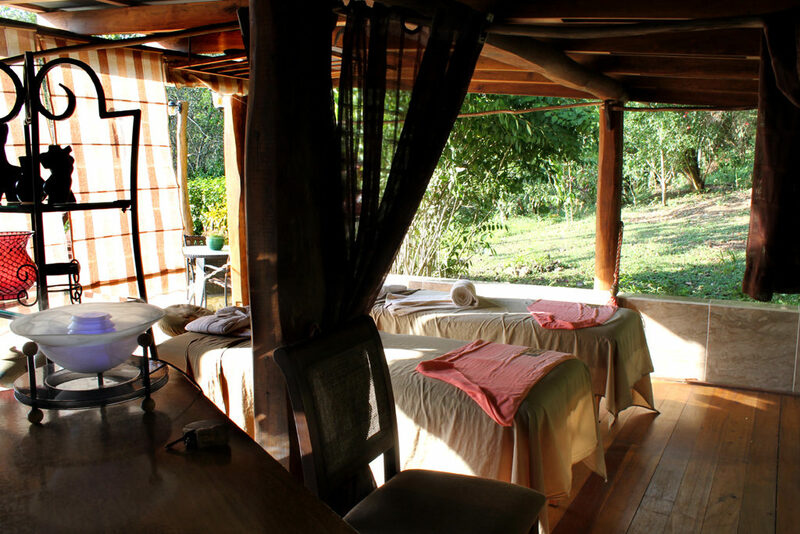 They have a wonderful bar/restaurant building practically cantilevered over the river, a yoga deck, open air spa, beautifully landscaped grounds, a pool, a wine and cheese tasting palapa, and you can even visit the goats where the cheese comes from. Their roster of tours is exceptional. I have been working in Belize 30 years now, and I am familiar with most of the tours that are standard in this area of Belize. Mystic River offers all of those of course, but they have several others that I have not seen listed anywhere. 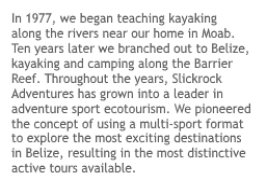 These include the Sapodilla Waterfalls, the Scarlet Macaw Tour, and canoeing to town where you visit the Farmer’s Market, and then they pick you up and bring you and your canoe back by van. Tours are generally $70 per person for a half day and $130 – 225 for a full day. They also offer transfers to and from Placencia and Dangriga, in addition to Belize City, with a price break if your group is five or more. So, I spent about 45 minutes touring the lodge, taking notes and pictures. What impressed me the most is that they had started out eight years before with raw land. Wow! We moved to Long Caye in 1994, and although our style is very different, so it’s a bit like comparing those time-worn apples and oranges… but seeing what they accomplished in only eight years just blew me away. During our eighth year on Long Caye we were probably rebuilding our dining hall or some of our six cabanas after our third natural disaster. It has taken us 22 years to get where we are today, which, as we like to say, is 5-star camping. If you are the sort looking for a good deal on luxury, Mystic River Resort is going to be a find. I’ll have to go back so I can report on the food and tours, but my initial impression is to tell you to definitely go for it! I really do believe that you will love it, and I don’t even know what you like.